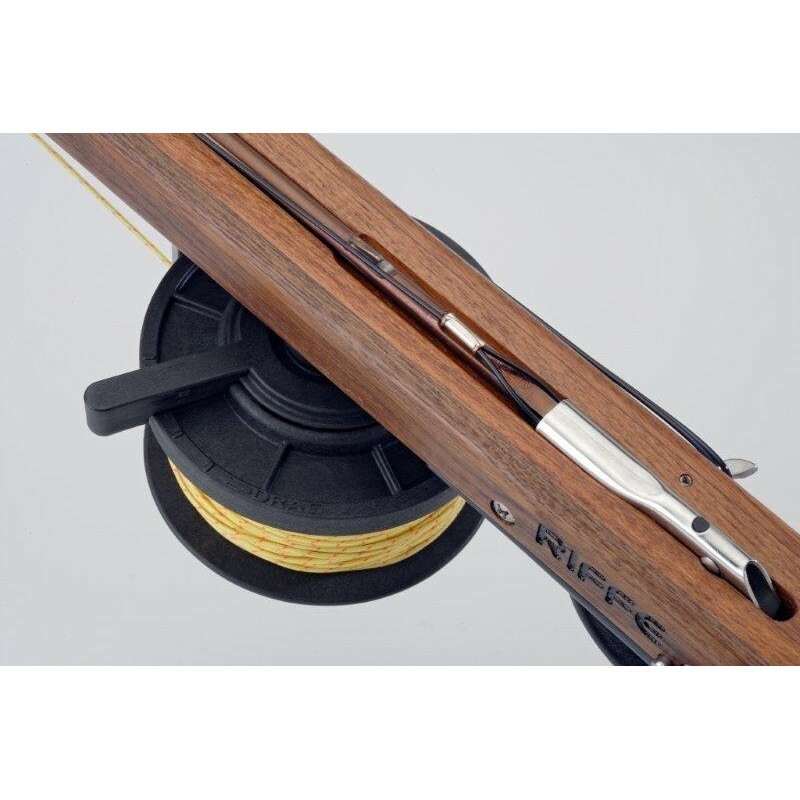 Reel for Riffe Euro series and other manufacturs with similar barrel shape. 60m dneema line 2mm included. 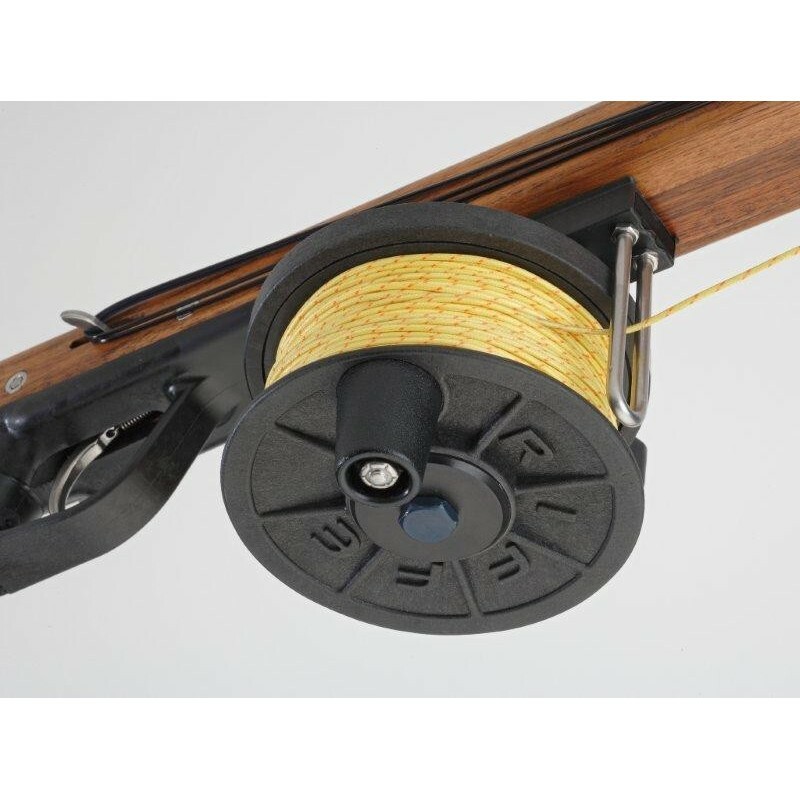 The Riffe Horizontal reel is a low-profile design made of composite materials (Nylon-Fiberglass) including heat treated aluminum with a hard anodized surface. 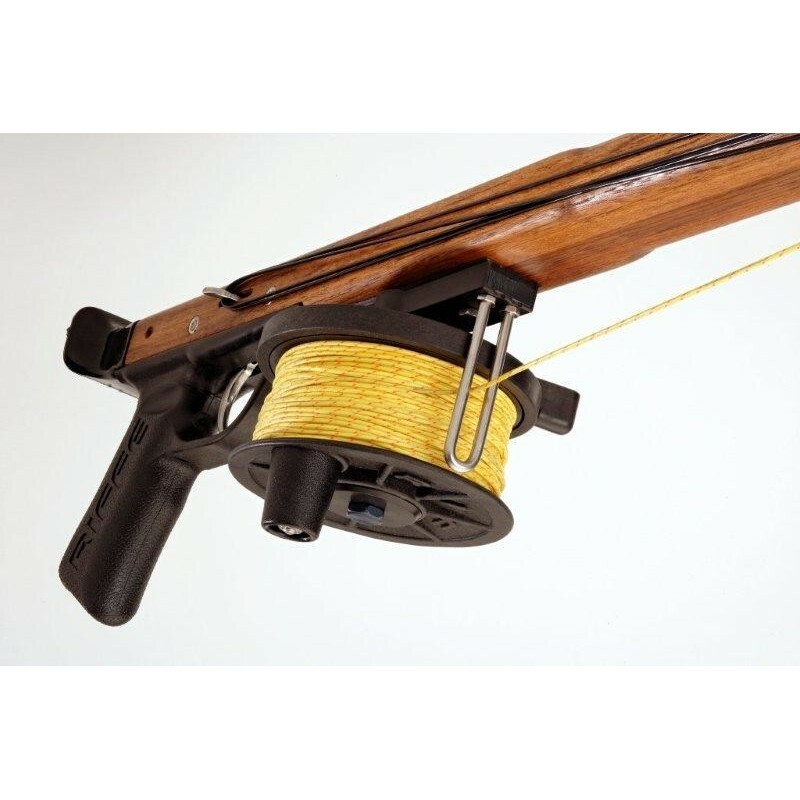 Featuring a clutch type drag with 4 positions activated by a lever on the side of the reel. 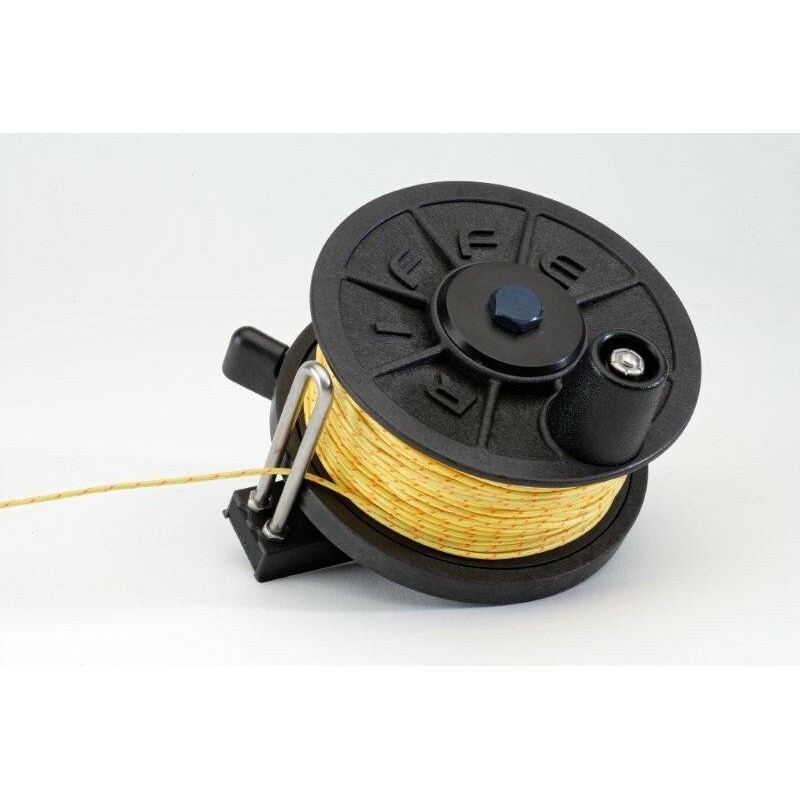 The spool size is the same as RIFFE's Vertical REEL accepting up to 60m 2mm line. Mounts on all RIFFE spearguns as well as other manufacture's that feature similar barrel flat shapes. 4 Positions from Free Spool to strong drag. Assembled with 2 Screws for mounting on RIFFE Euro Series and others manufecturs. On RIFFE models are assembled using the threaded inserts. May be mounted with wood screws placed in a pre-drilled hole.